Motherhood is one of the most rewarding, hard and ever-changing life experiences, hands down! With all of the changes that come along with your beautiful new bundle of joy, there also comes the inevitable need for gear. Finding the perfect gear for mom and baby can become an incredibly difficult and daunting task. 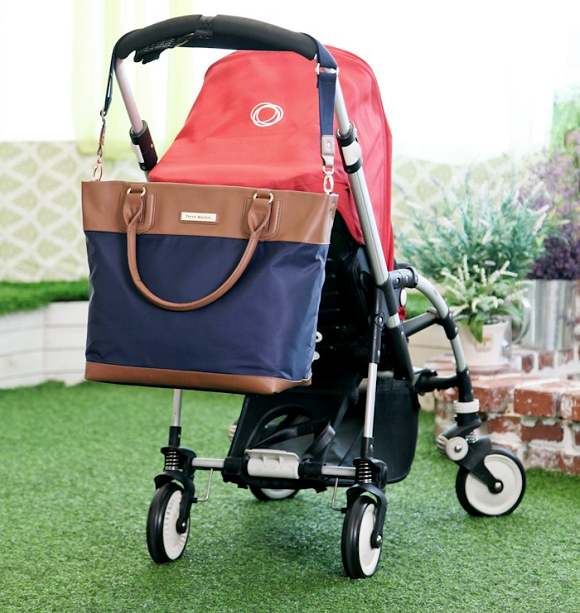 After experiencing all that the Perry Mackin Zoey bag has to offer, it has definitely made it's way to the top of my list of must-have baby gear, for a variety of reasons. Aside from being gorgeous, the functionality of the Zoey bag truly warms my heart. Finding both style and function in an essential piece of baby gear is rare; usually you can have one but not both. In addition to the fashion forward design and luxurious (yet practical) materials, Perry Mackin has designed their bags with spacious organizable interiors. With generously sized outer pockets and several inner pockets you can easily keep everything in it's own space, for easy access while out and about. Something else we love? The added care that Perry Mackin has taken with the included accessories. The Zoey bag includes a separate matching (removable) zipper pouch, a matching insulated bottle warmer (keeps liquids cold or hot for an extended period of time), and a padded mat for changing baby in comfort. Fashionable and functional! Perry Mackin bags are a mother's dream come true! Words never seem sufficient to describe the beauty and fulfillment of motherhood. Every giggle, hiccup, first step, discovery or achievement is worthy of celebration. While we watch our precious offspring grow and bloom, it becomes very easy to lose track of ourselves and our image or priorities. Two women with similar background but different career focuses decided simultaneously that frumpy mommies were inconsistent with the spectacular importance of motherhood and Perry Mackin was born. Its purpose: allowing you to be a busy and committed mother without losing your sense of style or fashion. 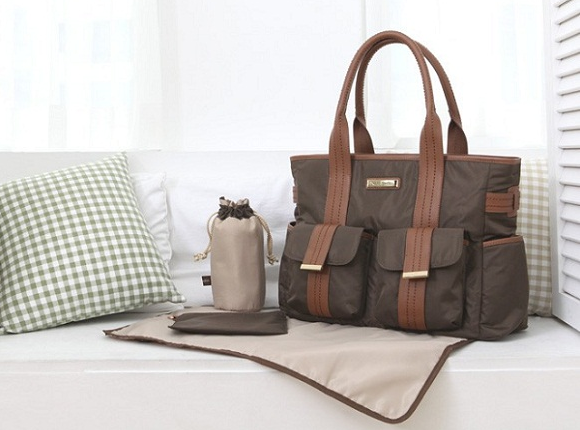 The attributes of design, practicality and affordability were combined with the specific needs of a diaper bag. Perry Mackin is exactly this. 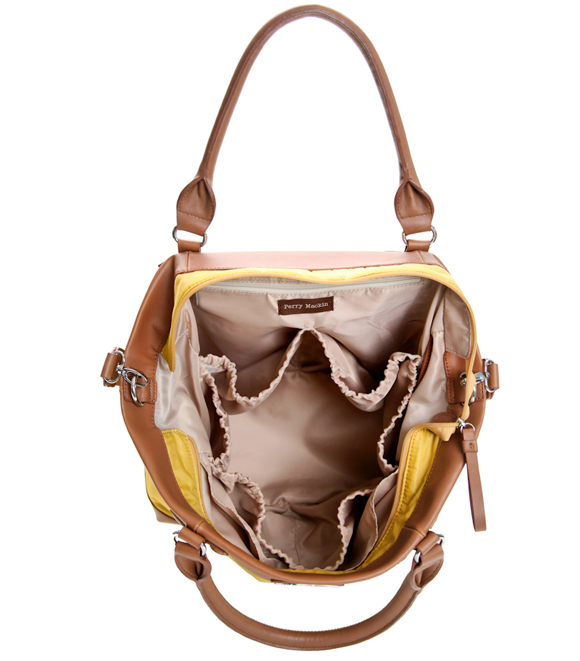 Take a look at a diaper bag designed with your own sense of chic in a high-quality, water-resistant fabric. You?ll dress it up or down according to whim or occasion and wonder what you ever did without it. Ready to experience the style and function of Perry Mackin bags? We are happy to offer (1) One Savvy Mom reader a Perry Mackin bag of their choice! (Retail value $138- $178 depending on the winner's bag choice).